Hanako "Hanako-san of the restroom"
Hanako is the ghost of a little girl that haunts the ladies' restroom of the old school building. 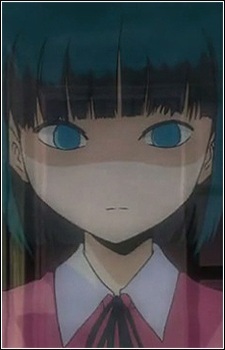 She appears to be harmless and has no intention to scare people, for she only wants to play and make friends. She appears mainly in the 2nd episode, trying to call for help when her lair is taken over by Akagami-Aogami, and makes several cameos in the other episodes.